The North-South ITC is intended to connect northern Europe to South and Southeast Asia. The Russian Railways feel India should take an active part in building the North-South Corridor, to connect Mumbai via Bandar Abbas in Iran to St.Petersburg. India should take an active part in the development of the North-South International Transport Corridor, said Alexander Misharin, First Vice-President of Russian Railways JSC. “To develop the transport corridor, it is of great importance that a shipping service is established between the sea ports of Mumbai (India) and Bandar Abbas (Iran),” Misharin said at the International Railway Business Forum ‘Strategic Partnership 1520: the Caspian Sea Region’ held in Baku, according to the Azerbaijani news agency ‘The First News’. “Currently, Russian Railways are holding talks with their Indian partners on this issue. However, much in the realization of this project depends on Iran,” said Misharin. “The effective development of the Caspian Sea Region’s transport infrastructure will have a positive impact on the dynamics of trade, capital flows and investments, and the economic well-being of countries in the region. Despite the difficult economic conditions, the volume of traffic on the North-South ITC, during the past three years, has slightly increased,” he said. Speaking at the forum, Eduard Alyrzaev, First Deputy General Director of Russian Railways Logistics JSC, said resolving the main problems of building the transport corridor will lead to the establishment of a regular service and create demand in the market, as well as redirect around 12,000-15,000 container shipments of current annual cargo traffic to this corridor. “Today, the main obstacle to the development of the project – is the lack of awareness among shippers about the possibilities this service offers and, as a consequence, their lack of confidence in the product. 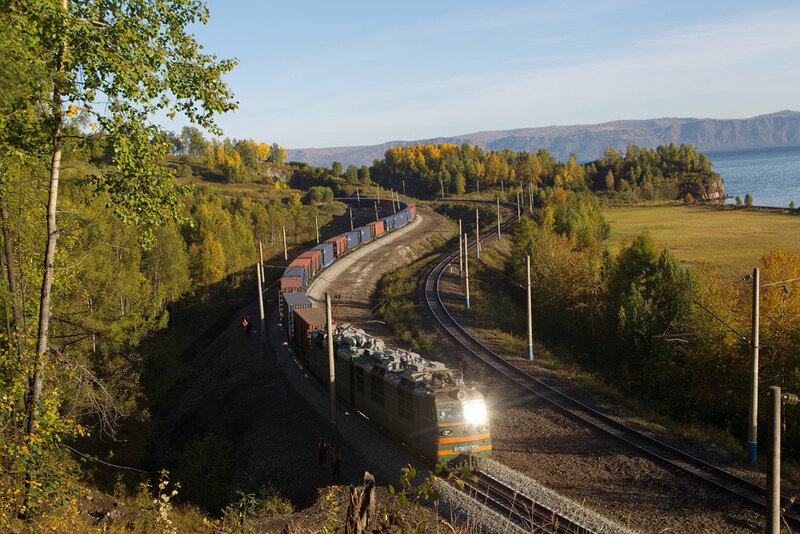 The shippers are used to using other routes, and they need time to adapt to the new situation,” said Alyrzaev, the top manager of Russian Railways Logistics, which has become the first North-South operator. In his opinion, an effective solution to these problems could be the establishment of a regular, quality service and its active promotion in the markets of member countries of the NSITC – India, Iran, Azerbaijan and Russia. A number of international agreements were signed during the forum, relating to development of the North-South ITC, including with the participation of subsidiaries of Russian Railways JSC. The partners of the holding will be the Corporation Dalian Port Co., Ltd., Bakinsky Metropolitan CJSC, Azerbaijani Railways CJSC, and the Federation of Transport and Logistics Companies of India. These new contracts will be a continuation of many years of fruitful cooperation between Russian companies with businesses in the countries of the Caspian Sea Region, noted the press service of Russian Railways. The North-South ITC is intended to connect northern Europe to South and Southeast Asia, and will serve as a bridge to connect the railways of Iran, Azerbaijan and Russia. In October 2016, Russian Railways Logistics, together with TransContainer PJSC, Iranian Railways, Azerbaijan Railways and forwarder ADY Express, sent out the first shipment of industrial radiators from Mumbai (India) to the FreytVilladzhVorsino transport and logistics complex in Kaluga Oblast. The transit time was 22 days. The new route reduces delivery times in half, and offers shippers rates that are 20% lower than on the rail route through Turkmenistan and Kazakhstan. When fully developed, the North-South route will run through the territories of Russia, Azerbaijan, Iran and India, over a length of more than 7,000 km.